This was probably one of the most painstaking art that I have done to date. 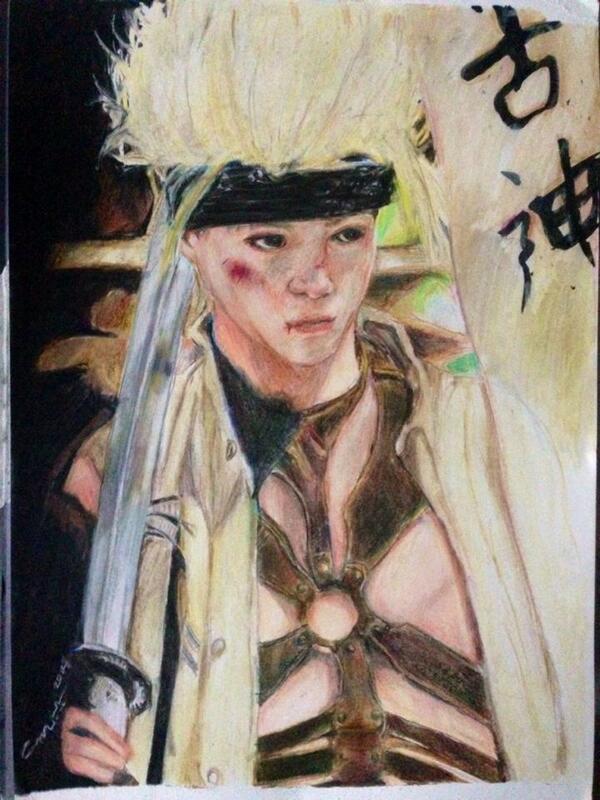 Took me days to finish it and i used colored pencils to render a whole scene of cho from a screencap of Rurouni Kenshin: Kyoto Inferno. I used some techniques I learned from books to do some underpainting this time and it worked. I wonder though, if i use watercolor first, then colored pencils, will it work? I am putting this up for sale if anyone wants it. I can give this A4 art in a laminate case – fixatived of course to protect it, for about $50.00 or best offer if anyone is interested. I also do custom art now, so please let me know! i like how cho was portrayed in the latest movie of Ruroni Kenshin.This looked really nice 🙂 i really like the face expression. Yup he was so cool, miura! ❤ thank you so much for the encouragement!